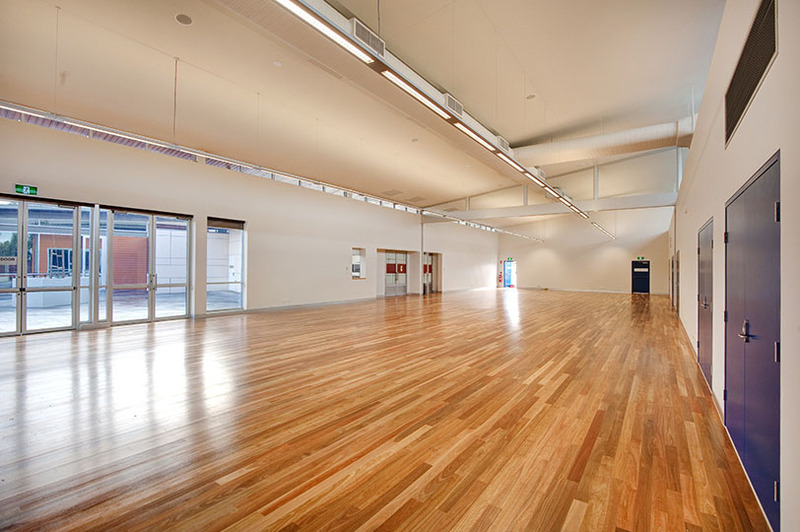 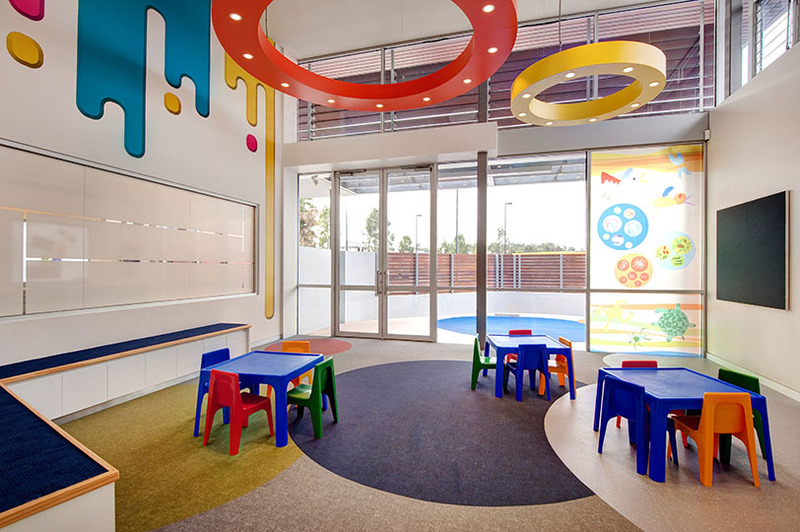 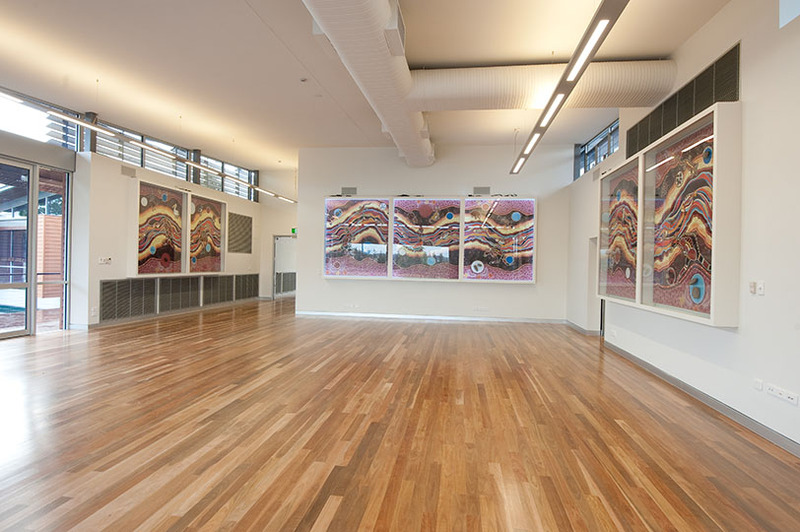 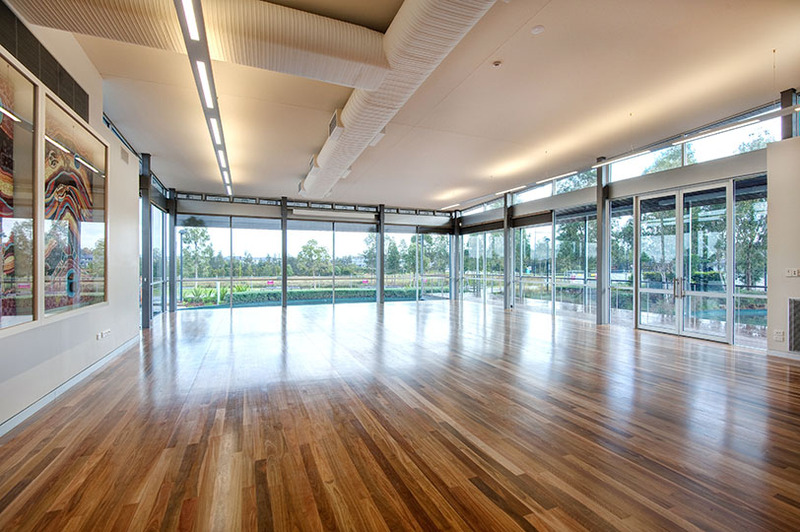 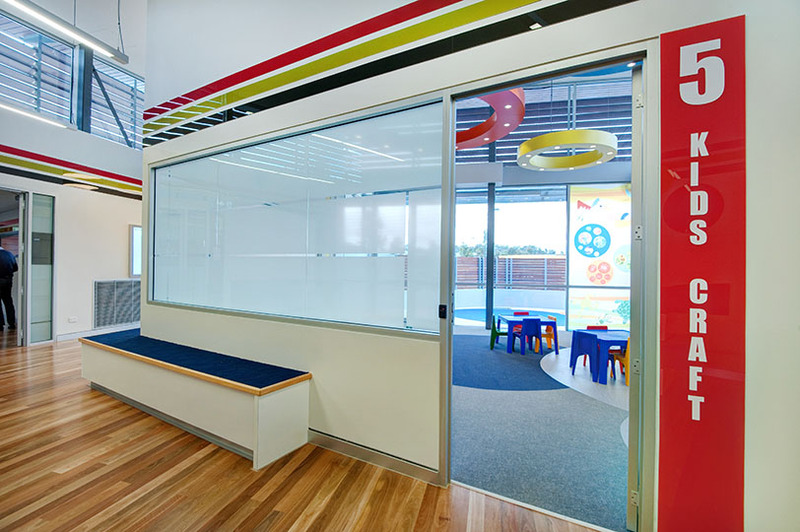 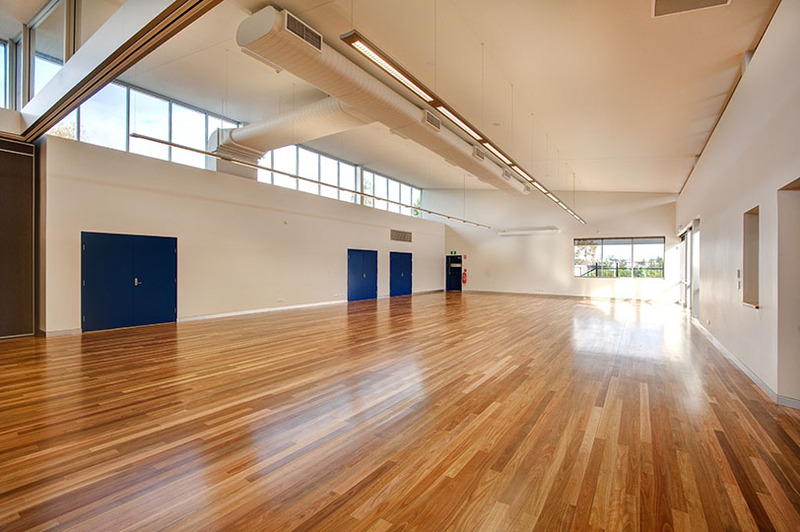 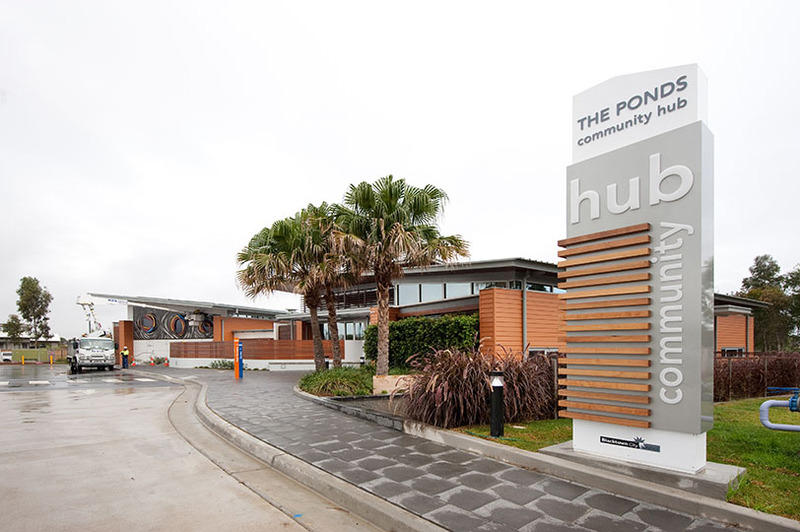 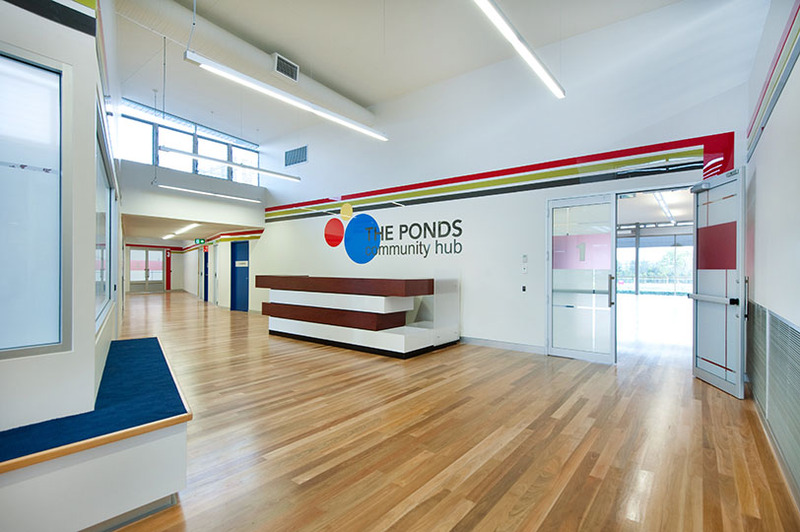 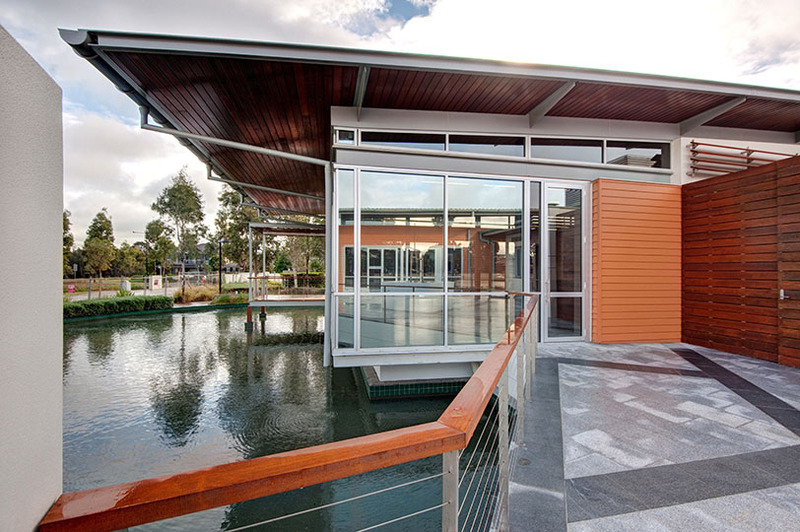 This project involved the conversion and extension of the existing Landcom sales office / showroom into a community centre for the growing residential community at The Ponds, a new suburb adjacent to Kellyville. 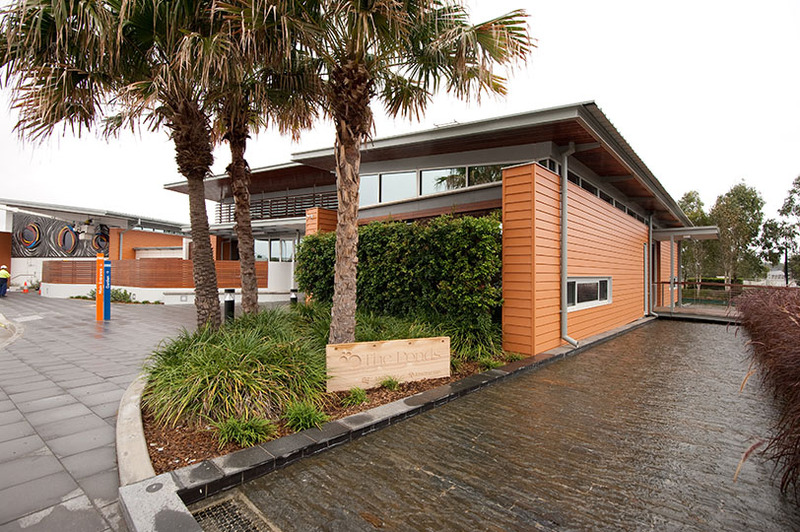 The works involved the removal of the existing carpark and diversion of services to allow earthworks to be undertaken for the new portion of the building, being concrete slab on ground. 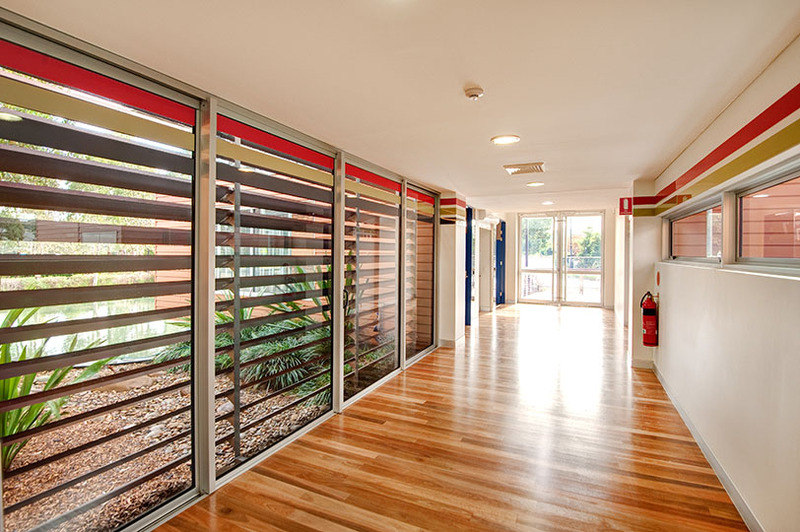 Once the concrete slab was poured, the main structure was built using a structural steel portal frame and clad in a range of finishes being CFC expressed joints, stained timber panelling, expressed jointed Vitrapanel and CFC primeline cladding. 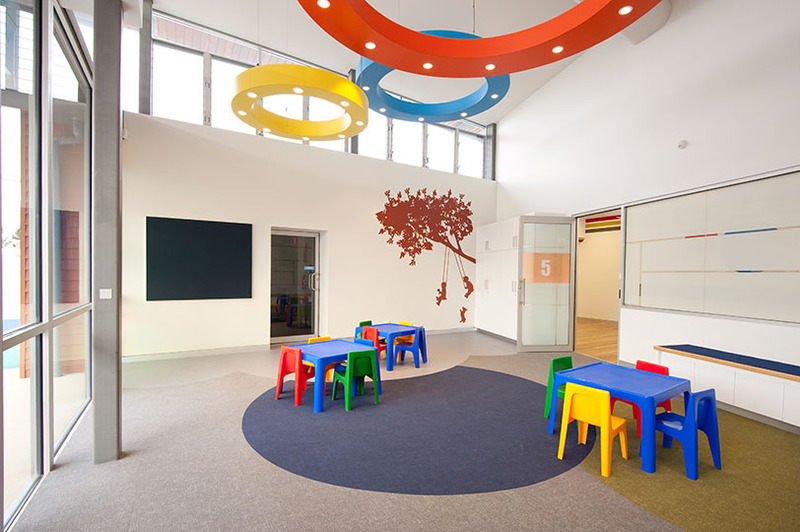 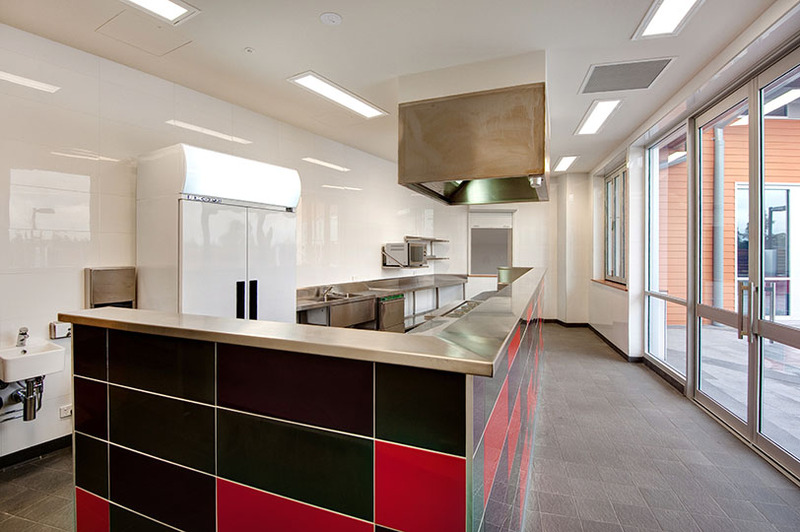 Internal layouts were altered throughout the facility using lightweight metal framework and lined with plasterboard. 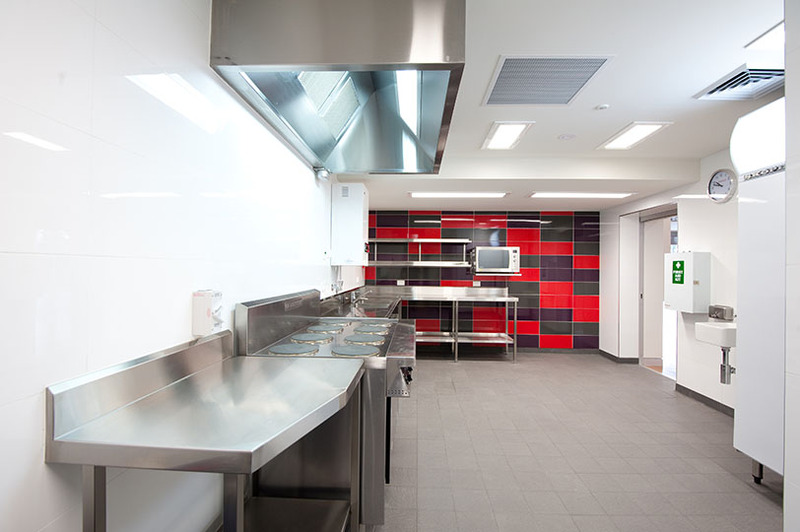 Tiles were also installed to the commercial kitchens and bathrooms. 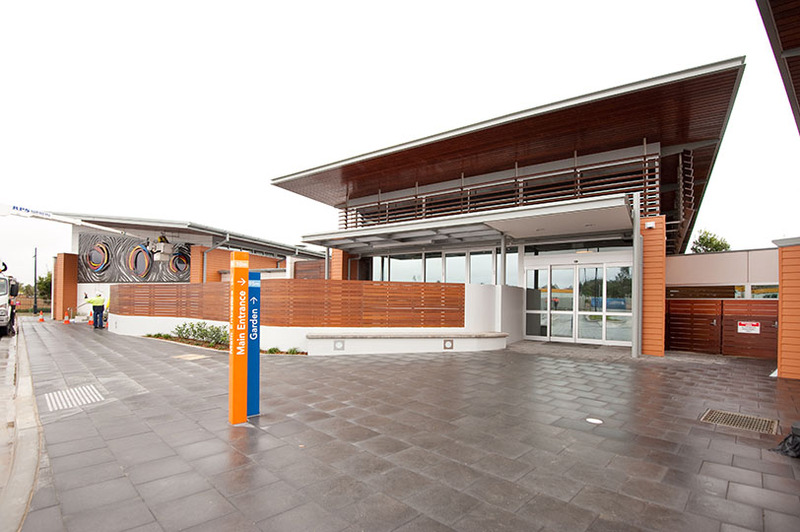 External works involved the construction of a new asphalt carpark and related civil works. 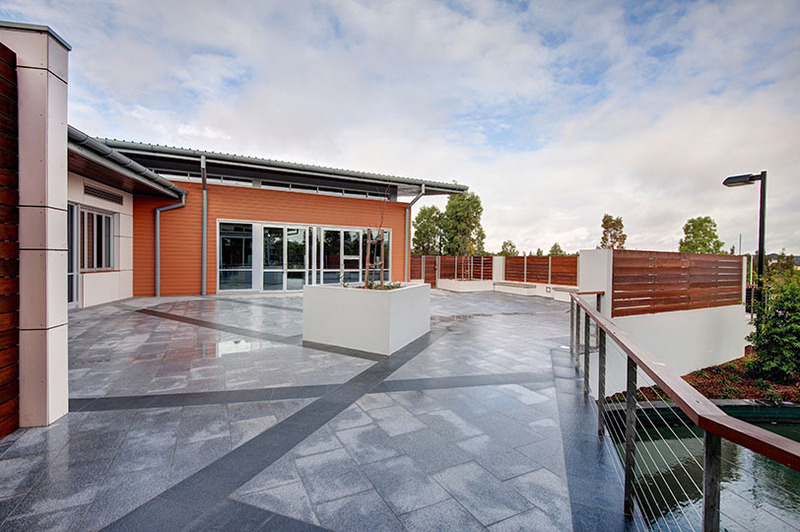 External surrounding areas were completed in a range of finishes including concrete, masonry paving and tiling to courtyard area. 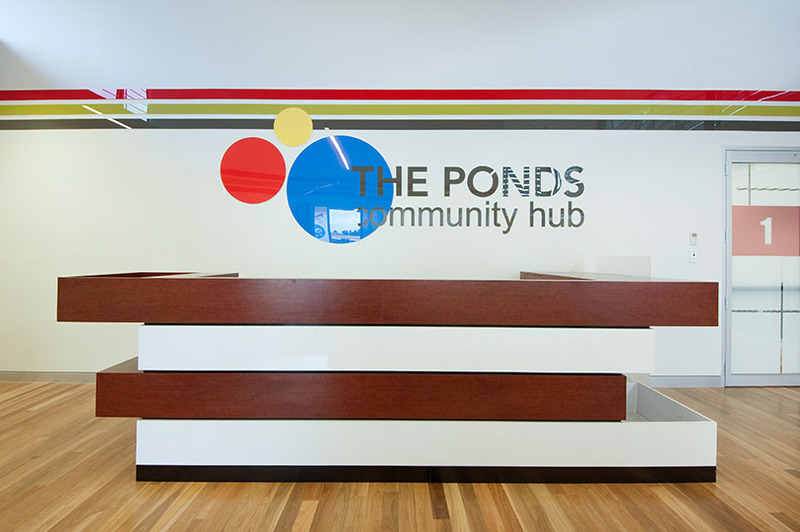 Just a short note on behalf of council and myself on the professional approach Grindley have shown during the construction of the project and the implementation of the defects liability period at The Ponds. 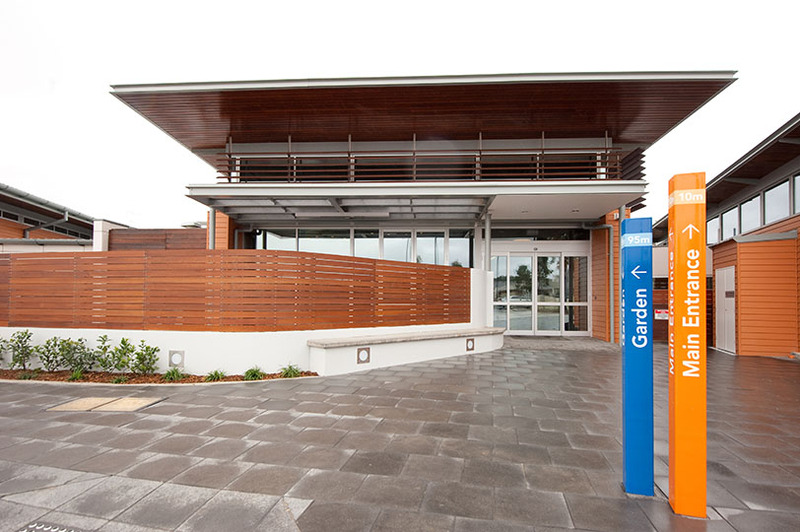 I must complement Grindley’s Post Contracts team for their efforts on site and for their rapid response and courteous, professional manner to address defects.